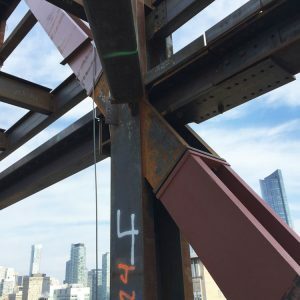 480 University Avenue Hi-Rise - Walters Group Inc. 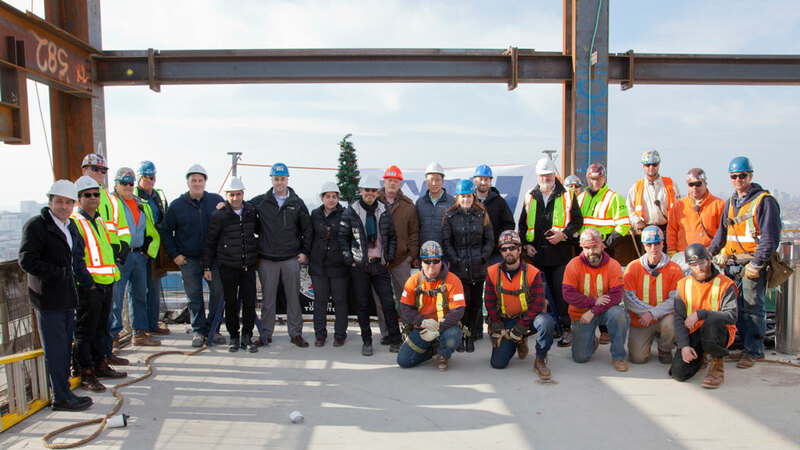 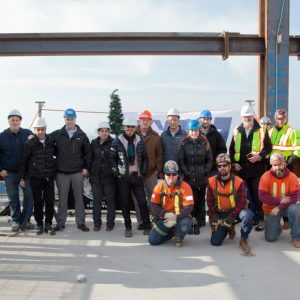 The existing 18-storey office tower at 480 University Avenue will be expanded to 55 storeys. 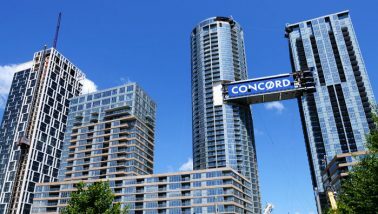 The new floors will contain condominiums, creating a large, new mixed-use tower in one of the densest areas in Toronto. 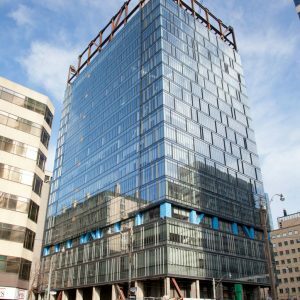 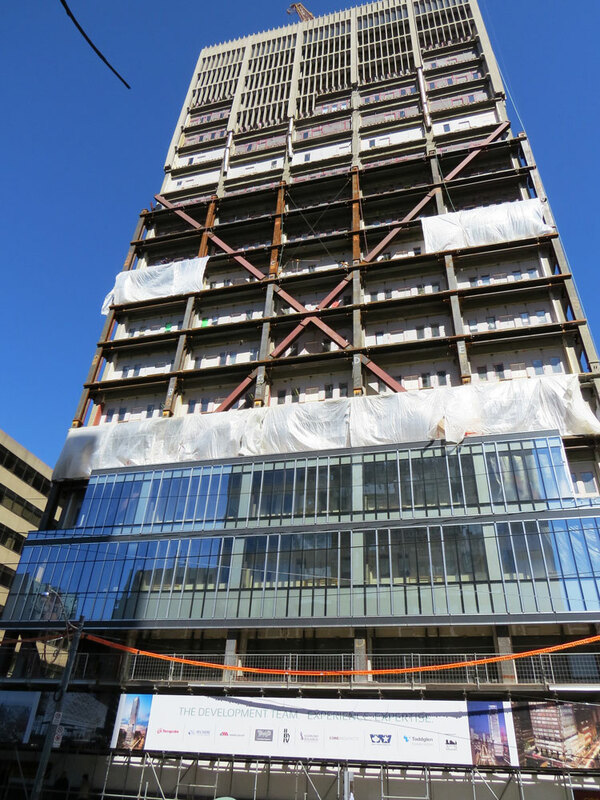 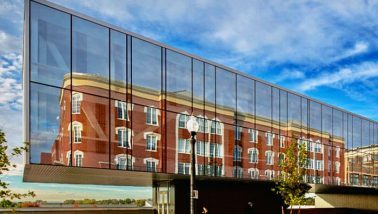 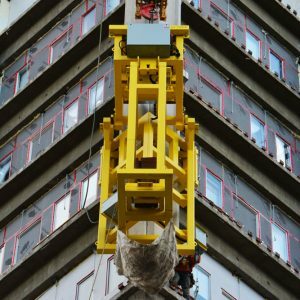 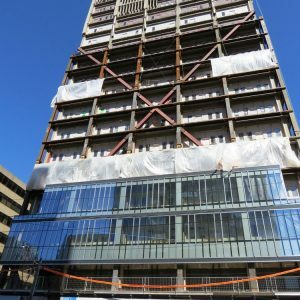 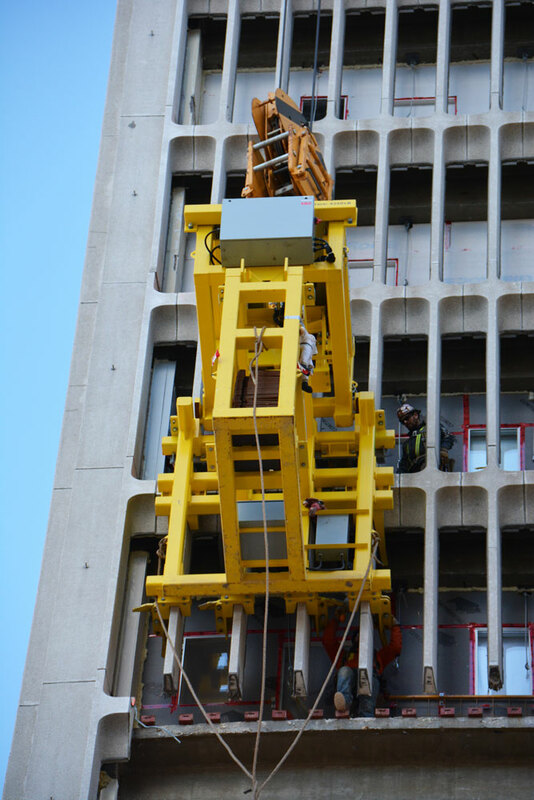 To help remove the curtainwall, Walters developed a custom jig apparatus specifically designed to remove sections of the wall face. 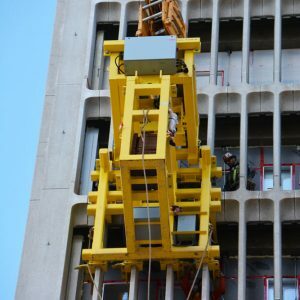 The device engages the curtain wall and releases sections that can then be lowered down. 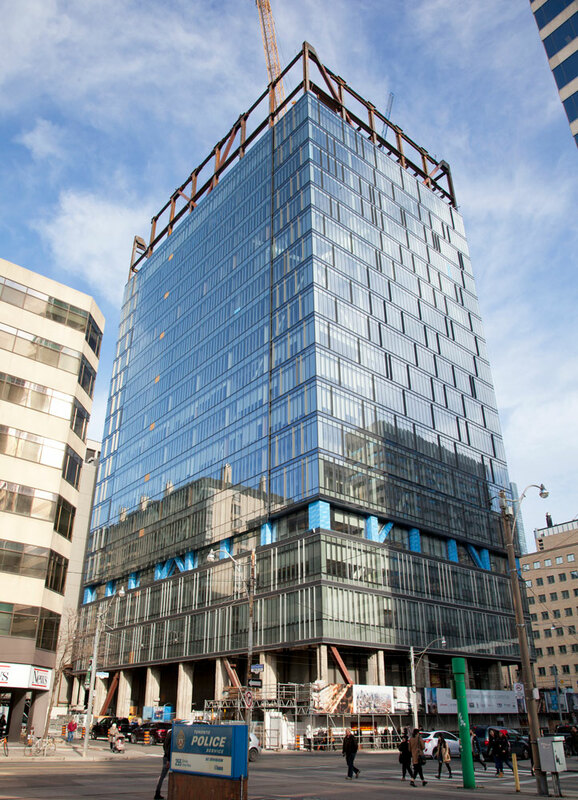 This work was particularly crucial given the high profile, high pedestrian traffic location of the building. 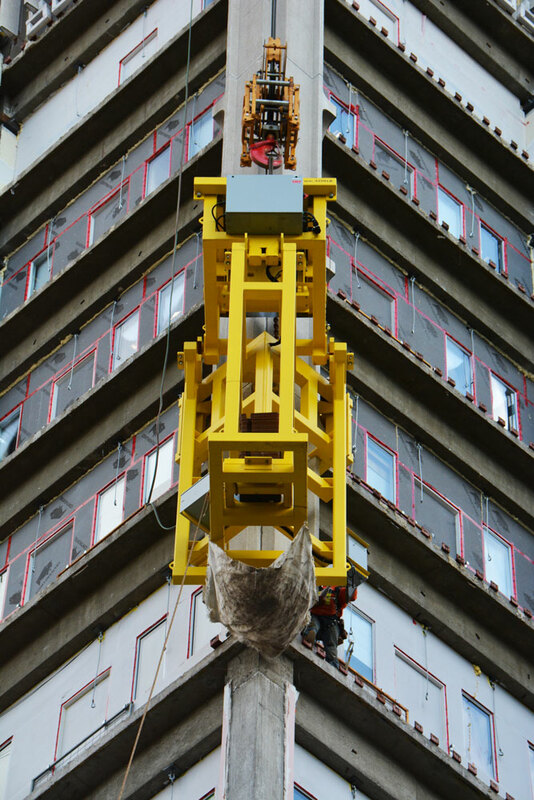 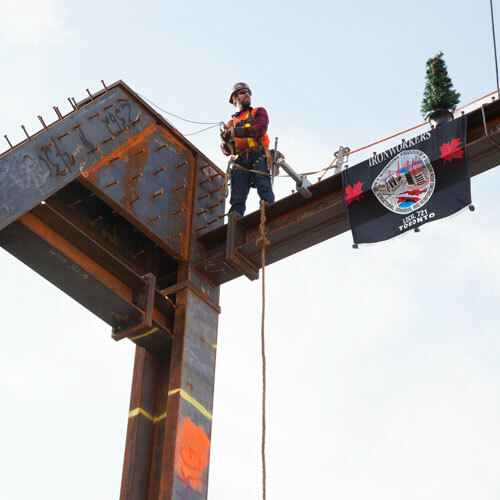 Safety, and the perception of safety were both exceptionally important to this job. 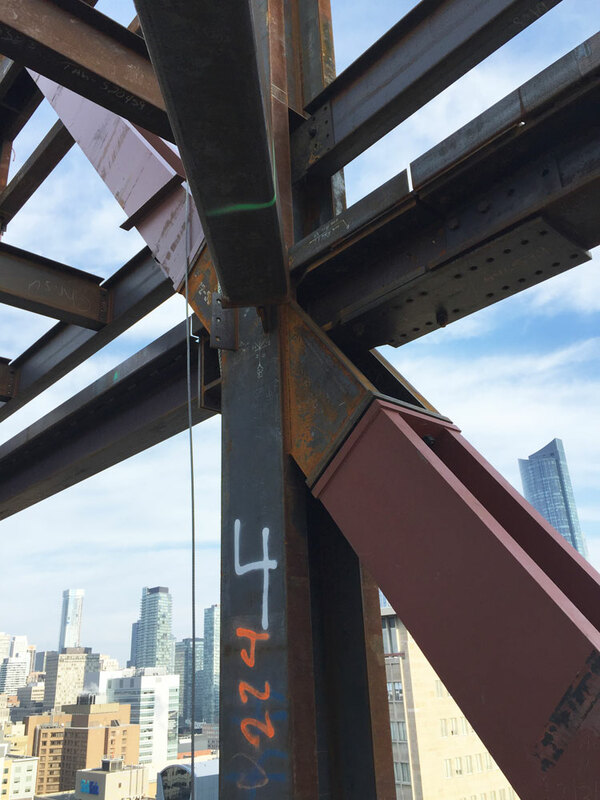 The exoskeleton must deal with the existing geometry of an older building; the new steel structure is going to shift and move differently from the current tower. 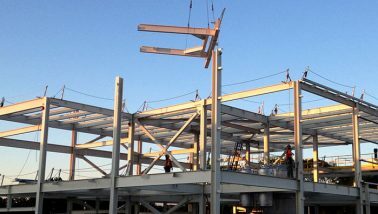 These differences need to be planned and accounted for in order to support the new storeys on top.